LAST Thursday morning (25 October) a High Court judicial review pending over the rights of the South Eastern Health and Social Care Trust to run a GP-led Out Of Hours service in the new Downe A&E in Downpatrick and abandon the previous consultant-led model was dismissed in favour of the Trust. 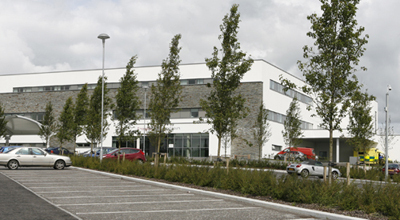 In 2009, a Castlewellan pensioner took a case against the South Eastern HSC Trust because of the removal of the consultant-led service at the A@E unit in the new hospital. John Duggan, who has been a long-term campaigner for improved hospital services in the Trust area, had argued that as a regular patient at the A&E for 25 years his, his health was at risk because of the lack of a consultant-led service provided at the A&E. Mr Duggan who has suffered from heart problems and diabetes for 25 years claimed that the Trust had shown a lack of proper care, had failed to provide specialist support, that the GP-led system was ineffective, that it was not fully supported by the GP’s themselves, and there was a loss of continuity of service when the hospital moved to the new premises. He also suggested that the new system reflected bias. At the judicial review hearing in the High Court in Belfast which lasted less that five minutes, the case was dimissed on all grounds. The Downe A&E department has now been given a clean bill of health after a judicial review in the High Court in Belfast. A spokesperson for the South Eastern HSC Trust said: “The Trust welcomes today’s decision by the High Court. This is a clear endorsement of the comprehensive consultation and engagement exercise undertaken by the Trust in respect of the new model of care at the Downe Hospital which continues to provide excellent access to emergency care for the local population. “The Trust is delighted with the success of the urgent care service at the Downe and we will continue to explore opportunities to further develop services at the hospital. Speaking just after the court hearing, Mr Duggan said: “I continue to be concerned about the running of this new system at the A&E. I have been a regular user over the years and I suppose the proof of the pudding will be in the eating. Down District Councillor Eamonn O’Neill who chaired the Council-led Taskforce which steered the case against the South Eastern HSC Trust said: “We are disappointed at the reasoning behind the decision. It will all eventually be decided on by the GP’s. We have received a number of complaints from people regarding the Out of Hours Service from 10pm to 8am and remain concerned. “Our understanding is that when the new hospital opened we expected every service would be delivered. There was no question of services being under-used or being made redundant. The facilities were to be used to their maximum. So in this respect people in the district have not experienced capacity services. “There have been a lot of lessons learned from this legal case. Clearly the judicial review has shown the Trust has passed the test regarding its delivery of services. But we felt it didn’t match up with the legal requirements.